KD Electric needed a new website that was responsive and updated. 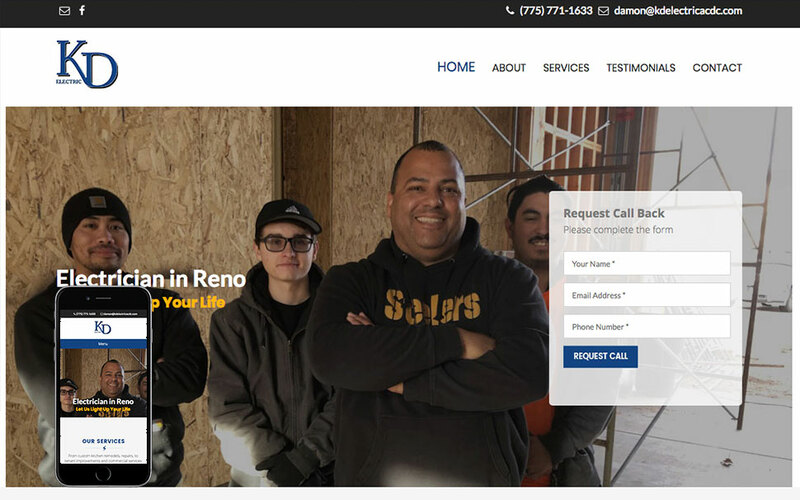 Their new site shows off their work and has easy navigation for both desktop and mobile users including a call back form and click to call links. This allows visitors to get exactly what they need, when they need it. Check out their site and call them for any electrical projects you have!